Brass is the metal du jour of 2013 and designers around the world are utilising this versatile metal for all number of schemes. 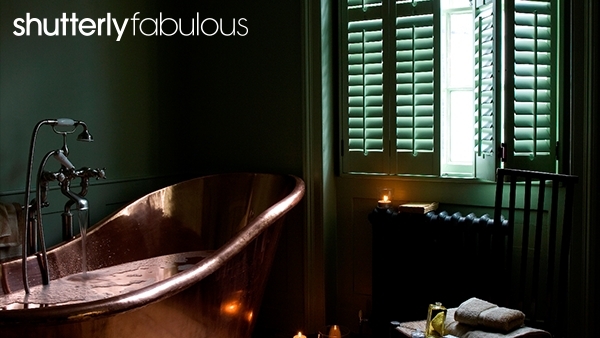 Use this shade in your room to compliment your plantation shutters. This year has marked a revival of brass schemes and fixtures throughout the interior design world. From railings to sculptures, this sultry shade is reminiscent of the 70s a look sought by designers Carl Aubock and Kelly Wearsler. This new metal du jour is delightfully versatile in terms of the colours that it can be used with. Complimenting light shades it can create a very flowing, calming aura. We would recommend using it in junction with our Dove shade to create this elegant 70s look. However, at an absolute contrast you can create a dark sophisticated look, perfect for studies and dining rooms, using dark stains distinctly contrasting the light brass. As shown in the image above, brass also links well with the 2013 Pantone colour of the year, emerald green. We have previously written on this colour for its renewing aura and calming nature – perfect for a bathroom to lounge away at the end of the day.